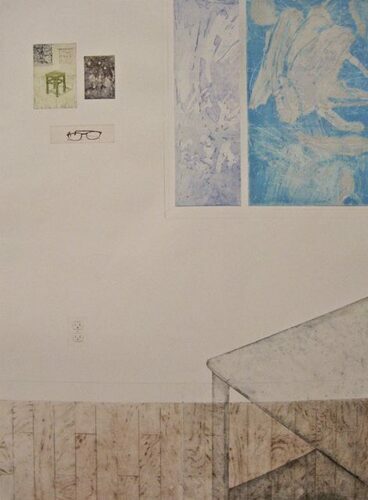 collagraphs (collage plates) that my toddler helped make. 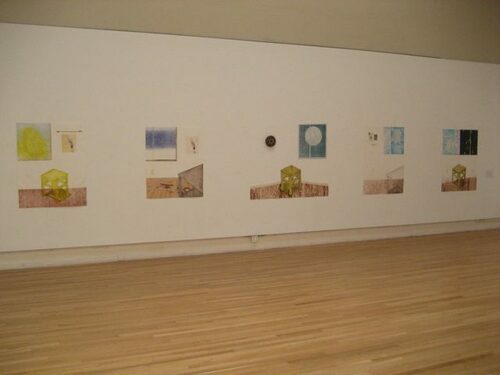 Installation of the Rooms series at Diego Rivera Gallery at SFAI. 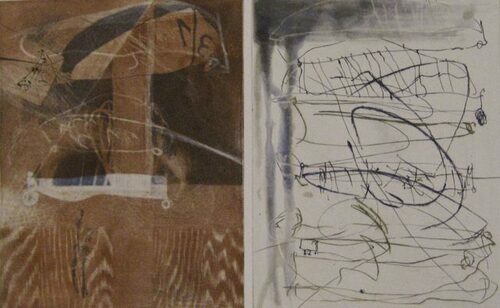 Intaglio, collagraph, with additions of collage, acrylic, and pencil on paper. 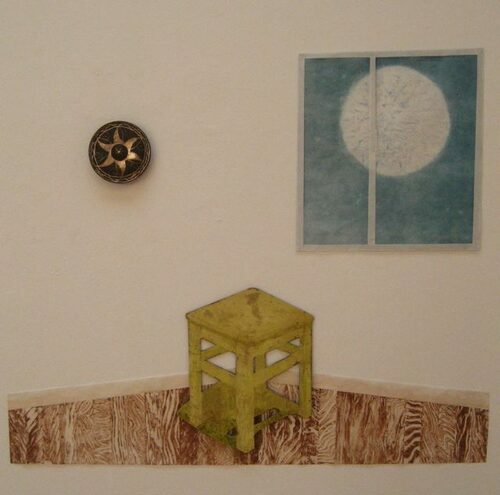 Collagraph, engraving, chine colle, and collage on paper. 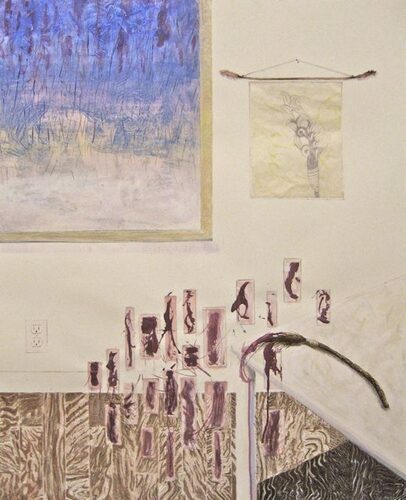 Collagraph, monotype, engraving, chine colle, acrylic, and collage on paper. 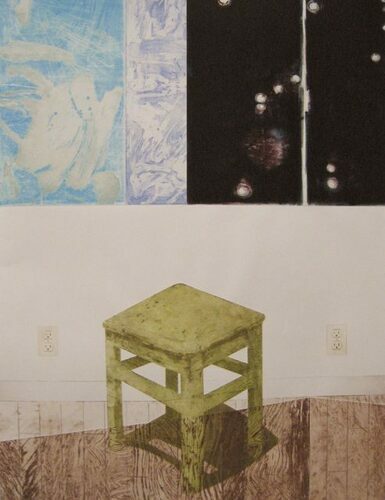 Monotype on rice paper, collage, inked collagraph plate, aquatint on rice paper , Thai gong. 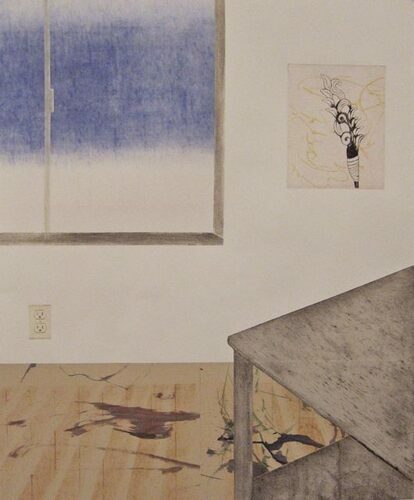 Overall dimensions 50" by 48" by 2"
Collagraph, engraving, aquatint, colored pencil on paper. 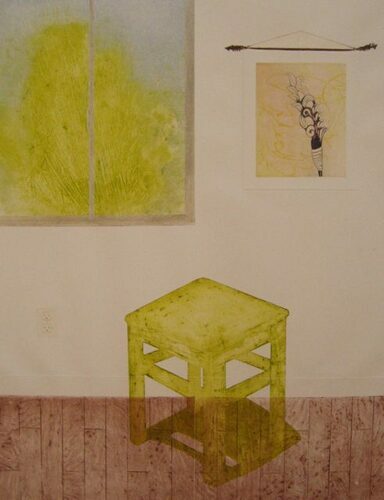 Collagraph, monotype, engraving, aquatint, chine colle on paper.